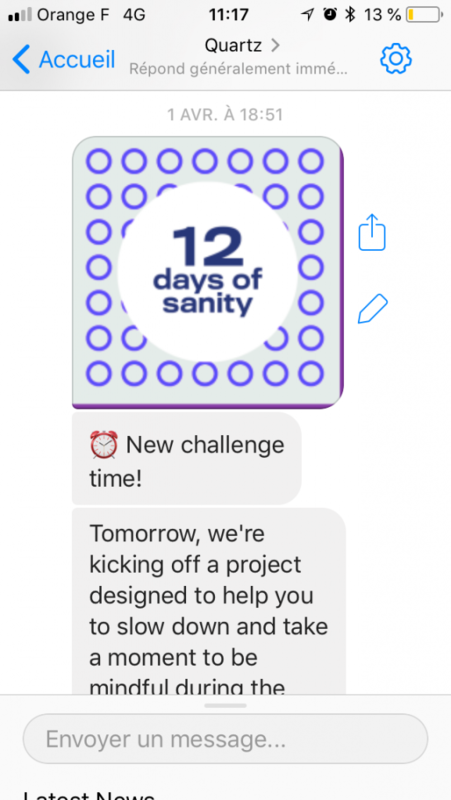 Last week, Quartz’s lifestyle vertical Quartzy launched a new bot project on Facebook Messenger called “12 Days of Sanity”. Every day, a short advice was pushed to subscribers, with the hope of helping them better manage their busy lives. 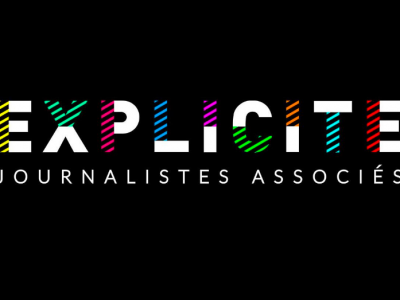 That’s a relevant extension for Quartzy, whose mission is to help readers live well in the new global economy. 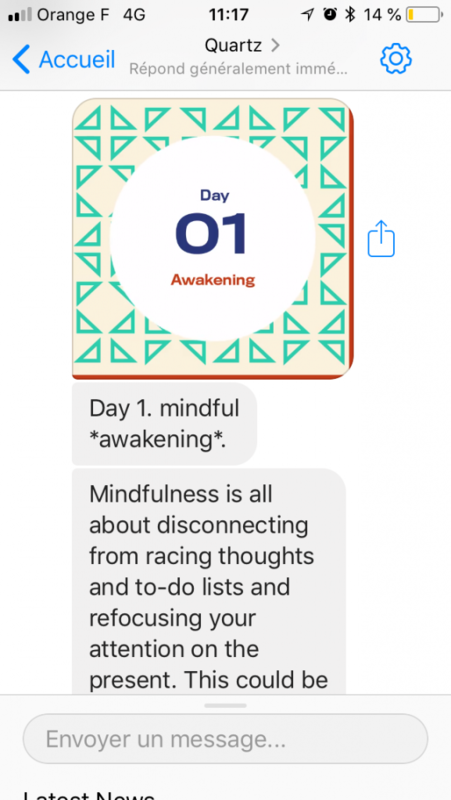 And it’s a good example of how publishers can use bots to deliver short dispatches of user-focused content (in a way ofter similar to newsletters). 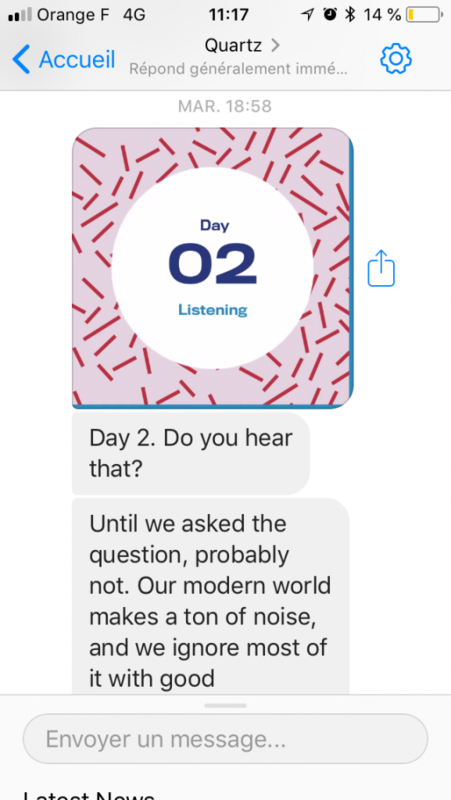 In the meantime, Quartz also launched its flagship Messenger bot, which offers on-demand breaking news, “obsession” stories or other special projects (like a bread baking session). 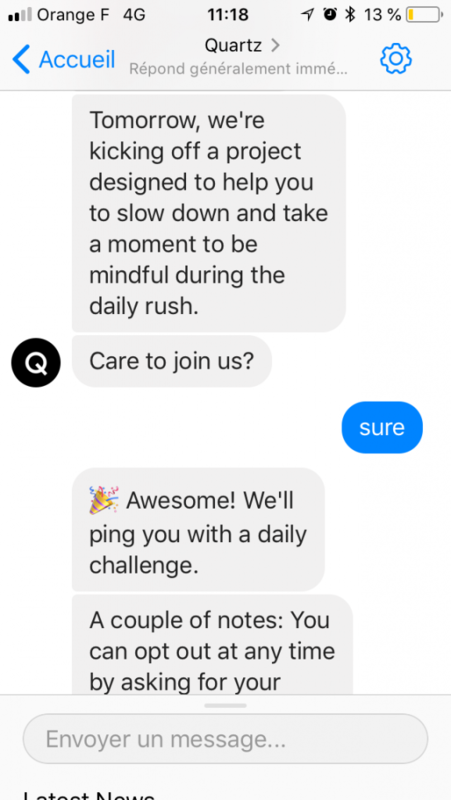 More info on the Quartz Bot Studio here.